What is a Lint Shaver? Lint shavers are devices used to remove lint pills from clothing and other items made from cloth. Lint shavers help keep clothing and furniture looking newer for longer. 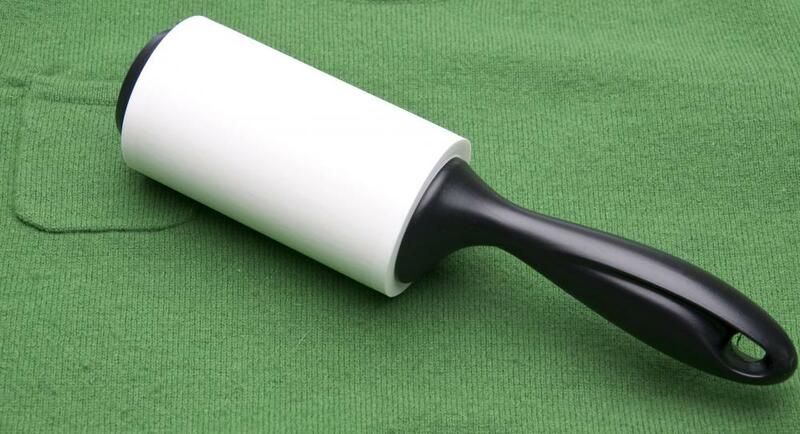 A lint roller can be used in lieu of a lint shaver. 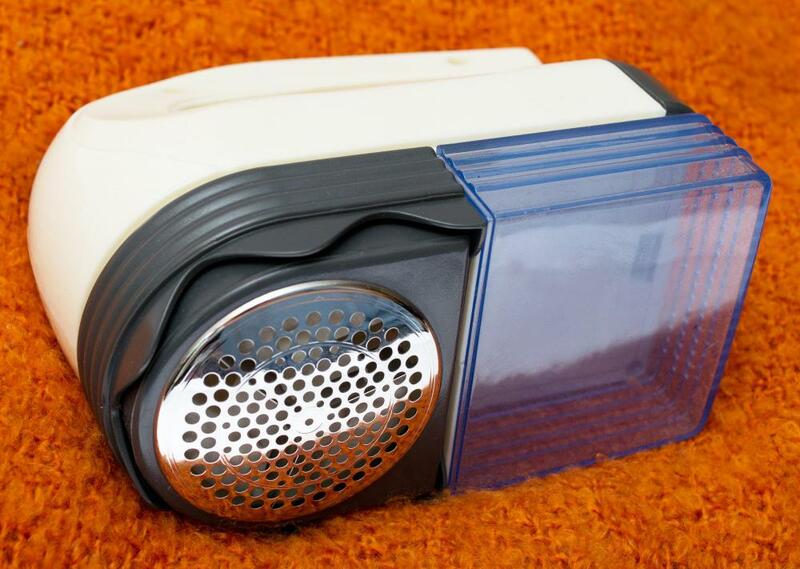 A lint shaver, or electronic groomer or closes shaver, is a small hand-held device that is used to give new life to clothing, such as sweaters, blankets, drapes and furniture upholstery. The idea behind a lint shaver is that many of these items tend to acquire lint and often "pill," or get small balls of fuzz, over time. By removing the lint and pills, you can keep clothing and furniture looking newer for longer. A lint shaver is comprised of a small perforated round head, behind which is a rotating cutter. This is attached to a plastic lint chamber. Most models are battery operated or come with an AC adapter. Some of the newer models will attach to your vacuum cleaner hose. You can also get lint shavers that have a cord so that you can plug them into an outlet. The battery operated lint shavers seem to be the most popular and easy-to-use option. To operate a lint shaver, you simply turn it on, and run the perforated head over the surface of the item you wish to shave. Fuzz, lint and pills are suctioned into the holes, cut off by the rotating blade and then deposited into the lint chamber. Once you have removed all of the excess lint and fuzz, you turn it off, detach the lint chamber and empty it out by hand. A lint shaver is an inexpensive item. Most cost less than $15 US Dollars (USD), some well under that amount, and can be purchased from discount stores and online vendors. The average lint shaver should do a fairly good job of removing lint, fuzz and those annoying little pills from just about any object. However, it always makes sense to read the directions beforehand. 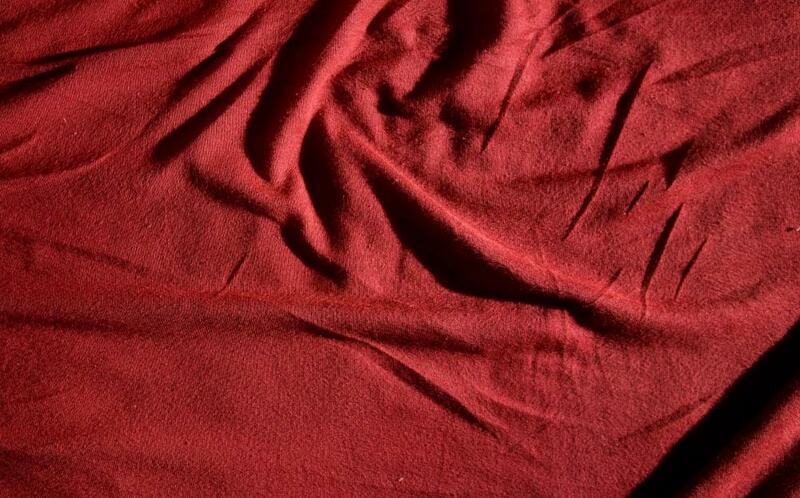 A lint shaver is an inexpensive trick to make just about any fabric look better for a longer amount of time. What is a Lint Roller? What is a Clothes Brush? What is a Clothes Shaver? What is a Lint Brush? What is a Sweater Shaver? What is the Best Way to Remove Deodorant Stains from Clothing? When I worked at a fabric store one summer, my boss handed me what I thought was a Norelco shaver. It was actually a fabric lint shaver, and my job that afternoon was to run it over the cut fabric pieces in the remnants box. I basically gave everything a haircut, running the lint remover shaver like I was shearing sheep or something. It did a great job of removing pills. I think the first lint shaver I ever saw was not sold to the public. I was in a local department store and my mother went to the women's wear section. I saw a sales clerk running what looked like an electric razor over the sweaters before folding them. She told me it was a sweater lint shaver they use to remove the little pills that formed during shipping. A few years later, I found a clothes lint shaver on the shelf and my mom bought it. It did make a difference in how our clothes looked.